An Insurance Industry Group is claiming that a study on Montgomery County's speed camera program shows the benefits of speed cameras, even though that study found no difference in accident rate reductions on roads where speed cameras were added compared to roads in a control group without speed cameras. The study by the Insurance Industry for Highway Safety (IIHS) compared roads in Montgomery County eligible for speed cameras (generally roads with speed limits of up to 35mph) to a set of roads in Fairfax County with comparable speed limits (25-35mph). The study also wanted to prove the existence of "spillover effects", by comparing a set of roads in Montgomery County with 40mph speed limits to a set of roads in Fairfax County with comparable speed limits. Data from 2004 through 2013 was examined. The study showed that accidents rates declined by almost exactly the same amount in ALL FOUR groups from 2004 to 2013, both in the categories with speed cameras and without them. The percentage decline in accidents was the same in the Montgomery County roads with speed cameras to Montgomery County roads without speed cameras, and was also equal to the decline in accidents in both categories of roads in Fairfax County where speed cameras are not allowed. It is worth noting that overall accident rates in the study declined between 2004 and 2006 at a similar rate to subsequent years even though Montgomery County's speed camera program was not even in effect until mid 2007. This had the effect of allowing the IIHS to attribute declines in accident rates to speed cameras which took place before the cameras were deployed. Had 2006 been used as the baseline year rather than 2004, the result would have been that Fairfax County roads would have seen a larger decline in accidents than Montgomery County. Comparing the average accident rates from 2004-2006 to accident rates from all of 2008-20013 would have shown that Montgomery County roads fared 5.8% worse than Fairfax County: Accident rates on speed camera roads declined by 21.1% compared to a 26.9% decline on non speed camera roads in Fairfax county. The "potential spillover" roads in Montgomery County also showed worse results than the control group in Fairfax, with 40mph roads in Montgomery seeing a 12% decline compared to a larger 17% decline on 40mph Fairfax county roads. The decline in accidents overall is not surprising given that there was a NATIONWIDE 21% decline in traffic fatalities between 2005 and 2009, largely attributed to safety improvements in vehicles such as anti-lock brakes. Americas roads are in generally substantially safer than they were in 2004, despite the fact that only a 15 states use speed cameras at all, and most states which permit them use them in far fewer locations than Maryland. The fact that accident rates had improved no more in Montgomery County with speed cameras than in Fairfax County without them was completely left out of the press reports which they provided to media organizations. The IIHS study specifically excluded roads from the "control group" where alternative traffic calming measures were applied with at least one Fairfax County road where speed bumps had been added excluded. Thus no comparison between the use of speed cameras to the application of traffic calming measures was attempted by the study. The IIHS study concluded that average traffic speeds declined on roads in the study where speed cameras were used, but this effect is comparable to speed reductions which other studies have found to be produced by alternative traffic calming measures such as "radar speed display signs" which do not issue citations. And while the study had attempted to prove the presence of "spillover" reductions in traffic speed, no significant effect was observed. Average traffic speeds declined only 4% on non-speed camera roads in Montgomery, an amount easily attributable to increasing traffic congestion over the past ten years, with comparable roads in Fairfax County showing a 3% decrease in speeds. The IIHS study also included a push poll survey which concluded that the majority of Montgomery County residents support speed cameras. However the actual most common response was actually non-participation, since only 9% of those called actually completed the IIHS's survey. The results from the IIHS poll seem markedly different from the results of a poll conducted by WTOP in 2012 where 64% of DC area respondents believed the primary role of speed and red light cameras is to generate revenue. Montgomery County invented the "Bounty system" (paying contractors a cut of each citation), and they still have a bounty system today despite promises by lawmakers to "end the bounty system", and despite having a clause in their contract that would let them switch from a bounty system to a flat fee. The Montgomery County ATEU has a STATED preference for conducting secret meetings. Even their so called "citizens advisory board" meets in secret, keeps no minutes, and gives no public notice of meetings. Local speed camera programs, including Montgomery County, issue erroneous speed camera tickets on a regular basis. Elsewhere in Maryland, Baltimore City's program was shut down when it was revealed they had issued thousands of erroneous citations because of false speed readings due to "radar effects". Why did the IIHS not examine Baltimore's utterly failed program, which was run by the same contractor which runs Montgomery County's? They ticket people who were not the driver, and Montgomery County has fought with every means they have to keep the burden of proof on the accused in such cases. They have adopted speed cameras as the first choice for every traffic safety problem, to the exclusion of other traffic engineering solutions. When all you have is a hammer, everything looks like a nail. Defendants have been denied the right to confront their accuser in court, even those who requested the camera operator testify. 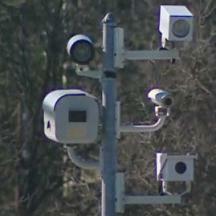 Supporters of speed cameras call Montgomery County a "model program". In our opinion, the problem is that this may be true. When Montgomery County breaks promises made to the public other jurisdictions follow suit and double down on it. The correct conclusion from the IIHS study should be that our roads are getting much safer without speed cameras, and that better alternatives exist for controlling speeds where that is needed. The lack of examination for possible negatives of speed cameras proves that the insurance industry does not care about and integrity of our justice system. Unfortunately the Insurance Industry believes that it is in their financial interest to diminish people's legal rights such that people accused of traffic violations are presumed guilty and have no defense -- even to the point where individuals can be accused and found guilty of offenses that happened when they were not even present. And while the insurance industry advocates for the use of speed cameras, jurisdictions such as Maryland and DC which have adopted them in far greater proportions than the rest of the US pay much more for insurance than the national average. Maryland and DC are the 11th and 3rd most expensive locations for auto insurance respectively. A fair answer to the IIHS's conclusions would be that the auto insurance industry should put their money where their mouth is and lower Maryland's insurance rates.